‘Through the Looking-Glass’. 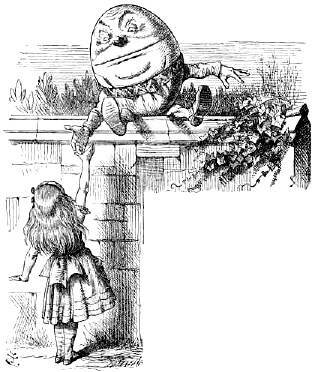 Illustration by John Tenniel. This entry was posted in Poems 2017 and tagged Humpty Dumpty, John Tenniel, Lewis Carroll, poetry. Bookmark the permalink. Definitely telling the truth in that poem. I just wish those speaking (or twittering) out of turn would keep their lips zipped!!!!! !